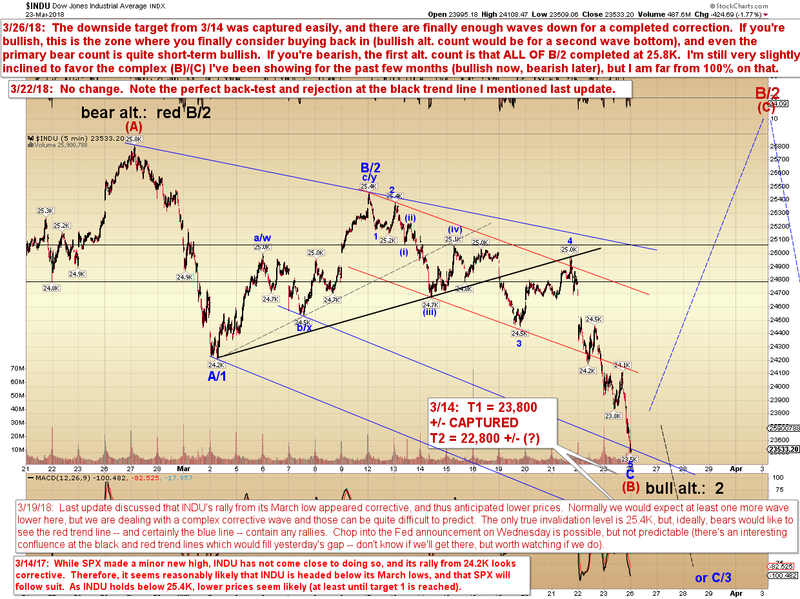 Just doing a quick update to note that my downside targets have been captured, and there are now finally enough waves for a complete decline. 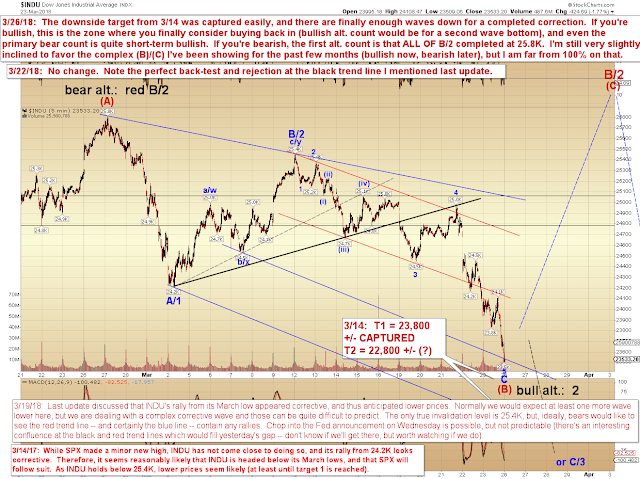 The wave has taken a somewhat unusual micro structure heading into Friday's low, so I cannot be 100% certain that it's complete -- but it did capture my downside targets across the board (SPX fell 4 points shy), and the move can finally be counted as complete. 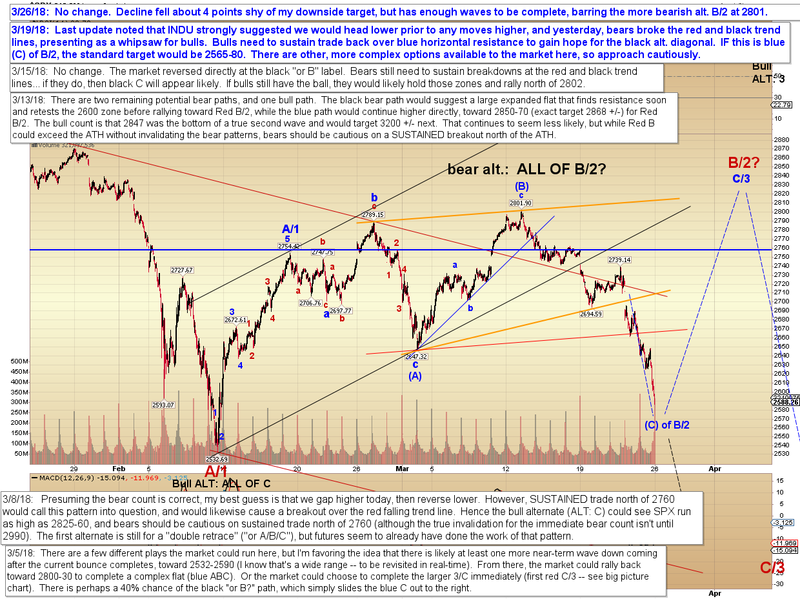 Patient bulls who've followed the last few months of projections should be sitting pretty right now, having just entered very close to the February lows, instead of entering too early and being shaken out (or enduring outrageous drawdown!). And bears who have followed these projections should have some solid closed profits (perhaps also with some open runners until things fully clarify). In conclusion, note that the preferred count is near-term bullish now -- though I am only very slightly favoring this, and I'm far from 100% on it (not that anything is ever 100% in the market.). One could almost say that I am borderline neutral until we see an impulsive rally from the market. In the meantime, it goes without saying that any sustained breakdown of the February low from here would call for extreme caution from bulls, as that could trigger a trip anywhere from 100 to 400+ SPX points lower. 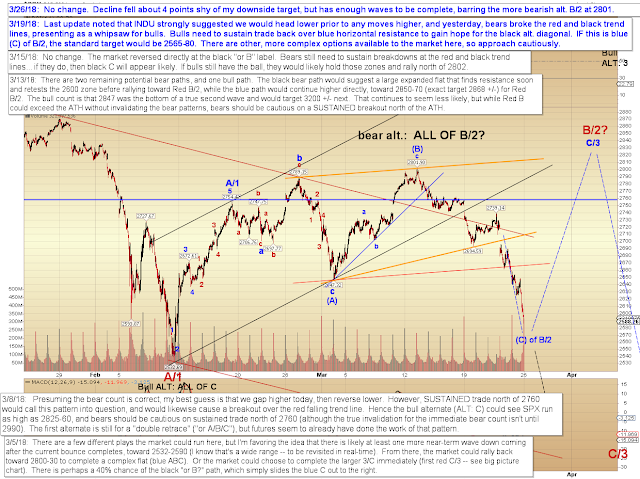 This is a very tricky moment, because we're looking for a complex correction in the context of a larger bear wave -- and if selling pressure is high enough, that complex move may not show. Trade safe.